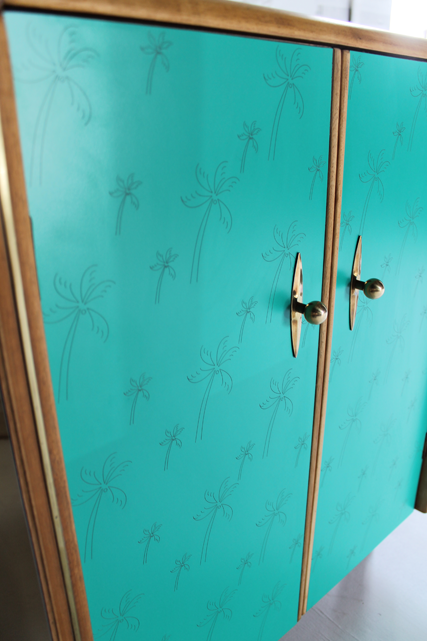 Tropical Green and Gold cabinet with an etched palm tree design. 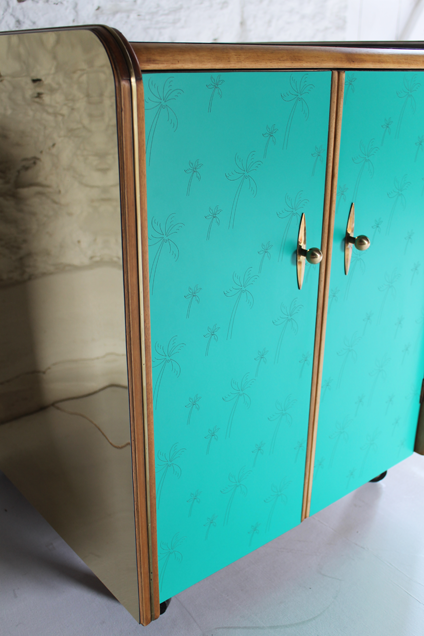 One of Lucy’s original designs brought back to use on this vibrant fun tropical green coloured laminate. 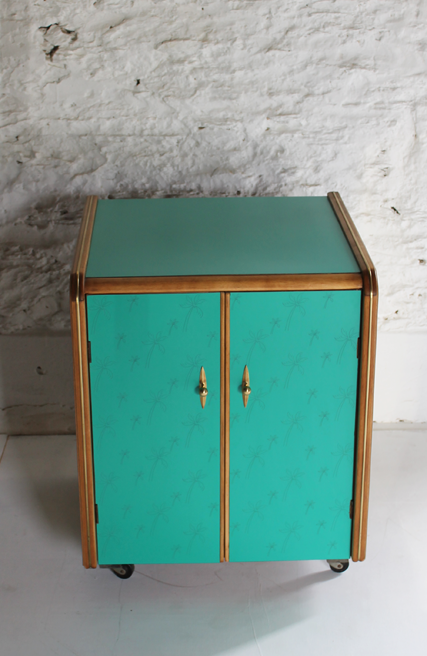 The top and doors are green, the sides a Gold laminate. 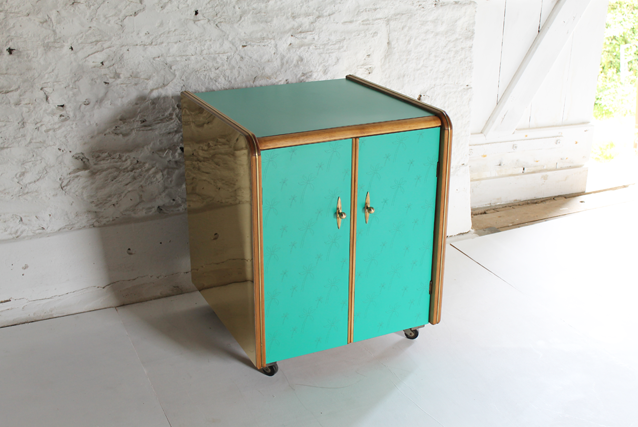 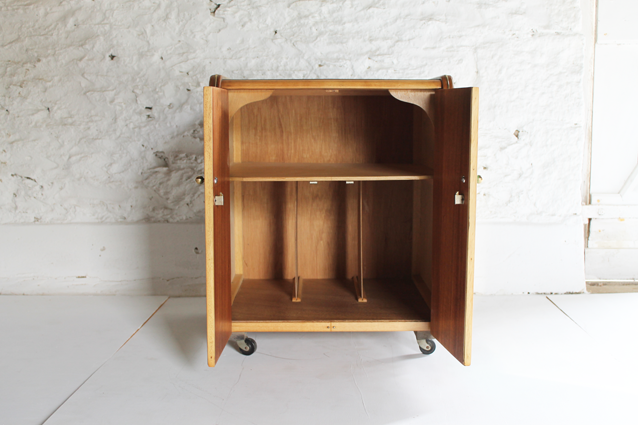 Brass features, light wood and a versatile little piece. 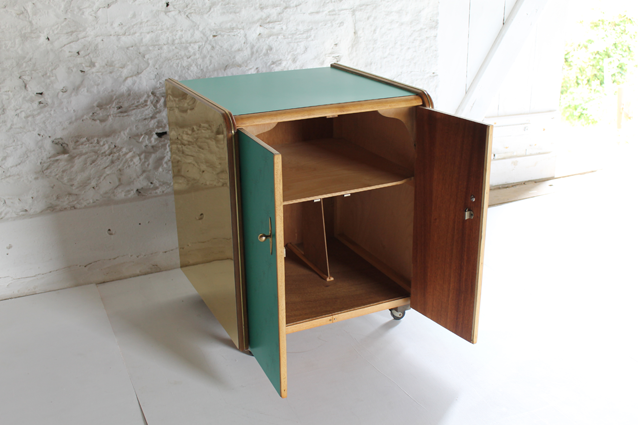 Originally designed in the 1960’s for records, but It can be useful in any room. 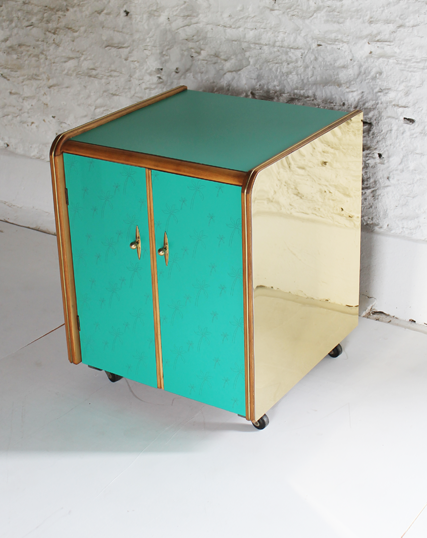 55cm 55cm x 66cm height.